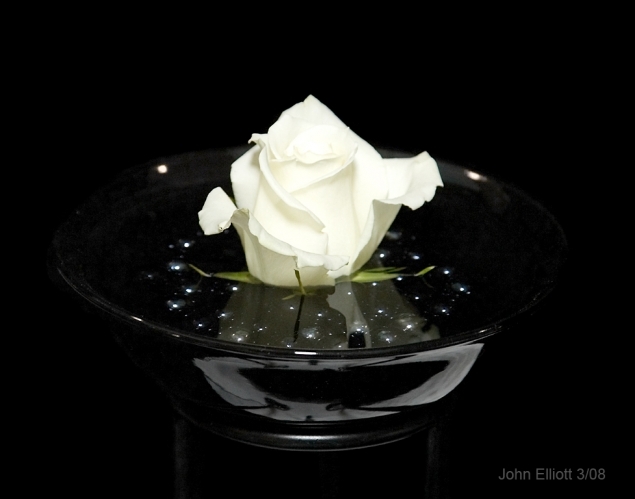 This is a rose floating in a bowl filled with marbles and water. The reflection of the electronic flash seems to form stars in the bowl. I found this photo in the the floral arrangements displayed at the Garden and Flower Show in 2008.